GREAT NECK, N.Y. — Noury Peykar, chairman of Nourison died on Feb. 20, 2016. He was 95. Memorial services will be held on Thursday, 2/25 at 6:30pm at the Temple Israel of Great Neck, 108 Old Mill Road, Great Neck, NY 11023. In lieu of flowers, donations can be made to Susan G. Komen at www.komen.org or to the Jewish National Fund at www.jnf.org. Mr. Peykar, was born in Kashan, Iran on October 20, 1920, and is survived by his sons Paul, Edmond, Alex, and Steven Peykar, his daughter Maggi Hakimi and their spouses, 11 grandchildren and 27 great-grandchildren. His first wife Joanna died in 1959. His second wife, Esmat recently passed August of last year. 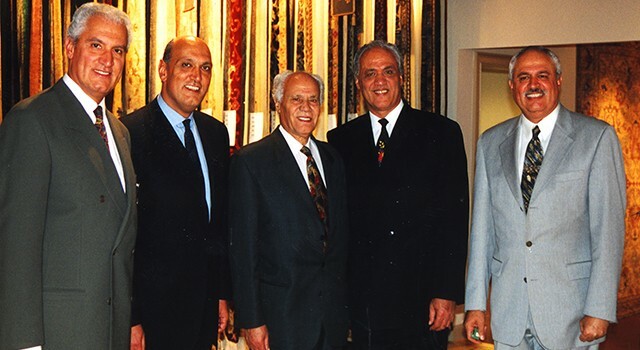 Noury Peykar founded Nourison with his four sons in 1980. The name Nourison was a combination of “Noury” and “sons” and a tribute to their father and his legacy. They founded Nourison with little means, but were fortunate enough to build a successful company that has become a leader in their industry and has continued to grow over the past 35 years. Noury Peykar still came to the Saddle Brook office on most days. He was a kind person and greeted everyone with a warm smile and a friendly wave. It is with much sadness that the Nourison family makes this announcement. Mr. Peykar will be missed. Nourison is a leading global floor covering company that produces extensive collections of area rugs, broadloom carpet and home accessories at multiple price points from low to mid-market to luxury. A fully vertically integrated company, Nourison oversees almost every aspect of the manufacturing process and produces over 85% of their product assortment from sustainable, natural fibers. Their quality, extensive inventory and speed to market has made them valuable partners in the home furnishings and hospitality industries. Their product assortment includes licensed collections from well-known brands including Calvin Klein, Kathy Ireland, Waverly, Barclay Butera, Joseph Abboud, Peanuts and more. Nourison was founded in 1980 by the Peykar brothers in New York and still remains a family-owned company.